Bishop McCort Catholic High School is an incorporated Catholic high school located in Johnstown, Pennsylvania, approximately 67 miles east of Pittsburgh. Bishop McCort offers one of the best college preparatory programs of study in the area in a unique academic environment. Enriched by Catholic intellectual and cultural traditions, it is a place that throughout its history has promoted excellent scholars. 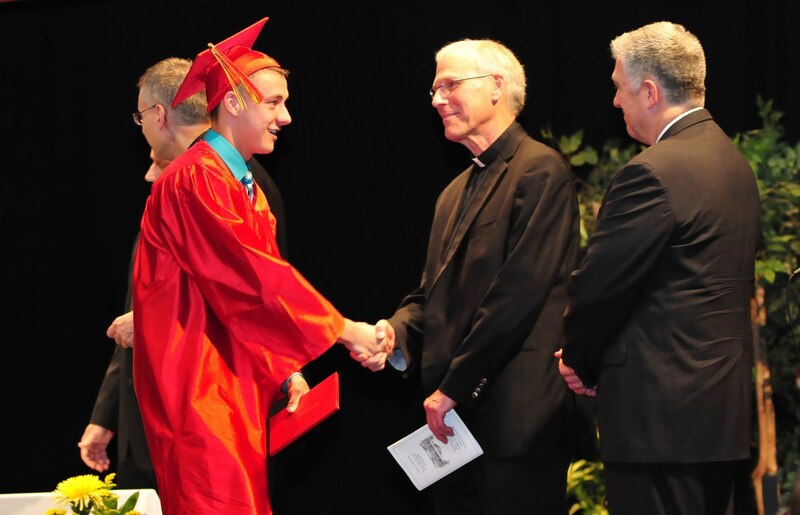 The success of the students in baccalaureate studies is one indicator of the quality of McCort’s academic program. Bishop McCort offers 8 Advanced Placement (AP) courses and 23 Honors courses, more than any other school in the area. It is this curriculum that prepares our students to excel at the finest colleges and universities across the country. You will find a diverse community of students and teachers who are committed to our mission: "Learning to think rigorously, so as to act rightly and to serve humanity better." (Pope John Paul II). The "College in High School" program allows students to earn college credit while enrolled at McCort. There are currently 43 credit hours approved for transfer to any college/university. The program is accredited by Seton Hill University, Mt. Aloysius College, and St. Francis University. The source of McCort’s academic strength lies in its faculty and staff. McCort boasts an 10:1 student-teacher ratio allowing the faculty to challenge each student to reach their potential in mind, body, and spirit. Our students compete academically with Scholastic Quiz, Forensics, Model UN, Band, Orchestra, and Math-a-thon. A McCort education has always been linked to values, chief among them volunteering in community service. Each student is required to complete 42 hours of community service each school year. Bishop McCort offers 21 boys’ and girls’ varsity sports programs including soccer, cheerleading, basketball, football, volleyball, baseball, softball, and hockey. McCort has over 30 extracurricular clubs and societies that provide leadership opportunities for its students ranging from honor societies, to ecology, to student government, to drama. The Drama Club annually produces a musical that is the most critically acclaimed in the area. Bishop McCort Catholic High School is accredited by the Middle States and received its most recent accreditation in 2009.